I hope you all had a wonderful Easter and a relaxing looooooooong weekend! I know I did. So busy drinking cocktails relaxing was I that I barely bothered to check my Twitter and Instagram accounts and even Facebook only got a cursory daily scroll through. Putting FOMO (that’s Fear Of Missing Out, mother) aside, I found that I really liked my mini digital detox and have vowed to do it more often. 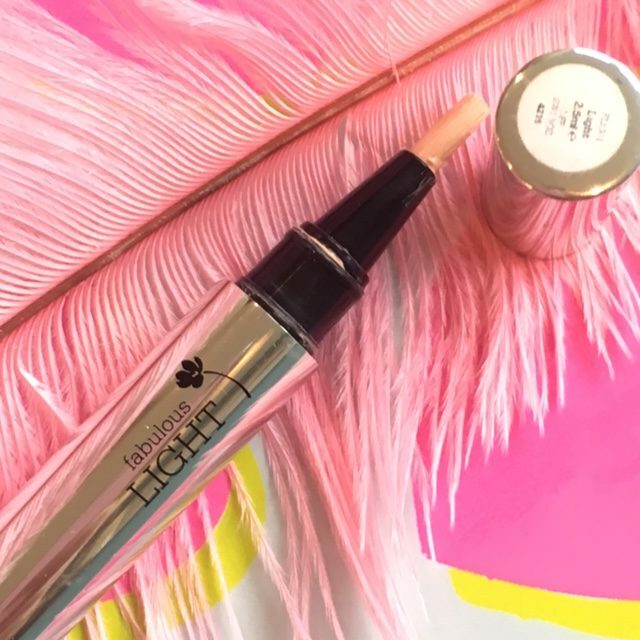 But, I’m happy to say, when the sunglasses come off, those dark circles have now gone into hiding (literally) thanks to my latest, greatest beauty find – Fabulous Light – a wonderful highlighter/concealer from the Look Fabulous Forever range. 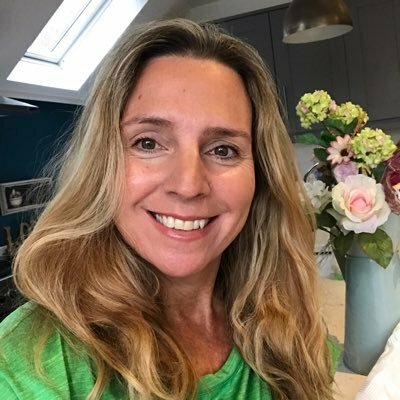 You may recall that I interviewed the inspiring founder of this makeup brand, Tricia Cusden last year (click here to read the interview) and was really impressed by her decision, in her sixties, to fill a gap in the market and bring out a range of makeup designed to suit women’s skin as we age. In the mornings before I apply my base, I dab a little Fabulous Light on the inner corner of my eye, which is the darkest part for me, then I gently blend with my ring finger underneath the eye to the middle. The formulation is really light and fluid so covers well without getting caught ‘in the cracks’! Then I touch a tiny bit just at the outer edge of the eye where it can be a bit red and pat a little over the lid to give the whole area a brighter, more awake look. 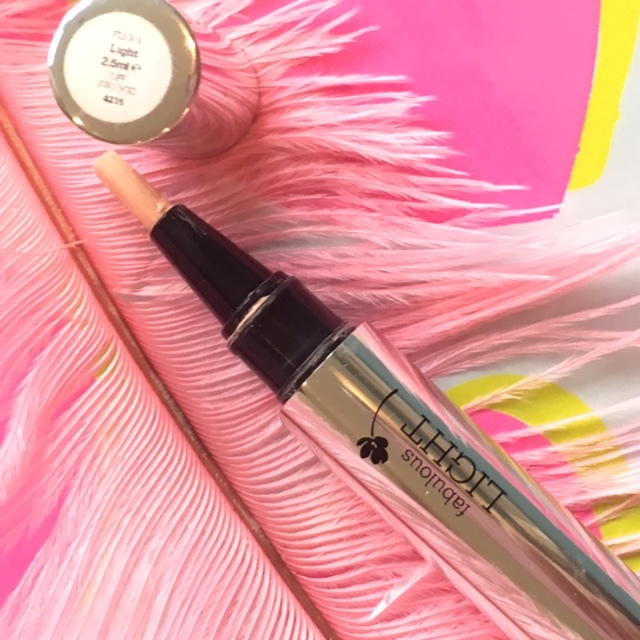 I’m not particular dextrous when it comes to making myself up – no baking, contouring and sculpting a new set of cheekbones for me – but by following Tricia’s tip of using the brush applicator to apply Fabulous Light from the brow bone, around and onto the top of cheeks, the face is given an instant lift and added glow! You can find out more about Tricia’s Look Fabulous Forever range including Fabulous Light, £20.50, here. What’s your wake-up make-up trick? I’d love to know! Previous Post Julia Buckley: Fitness Expert on Keeping It Real! Hi Toni. 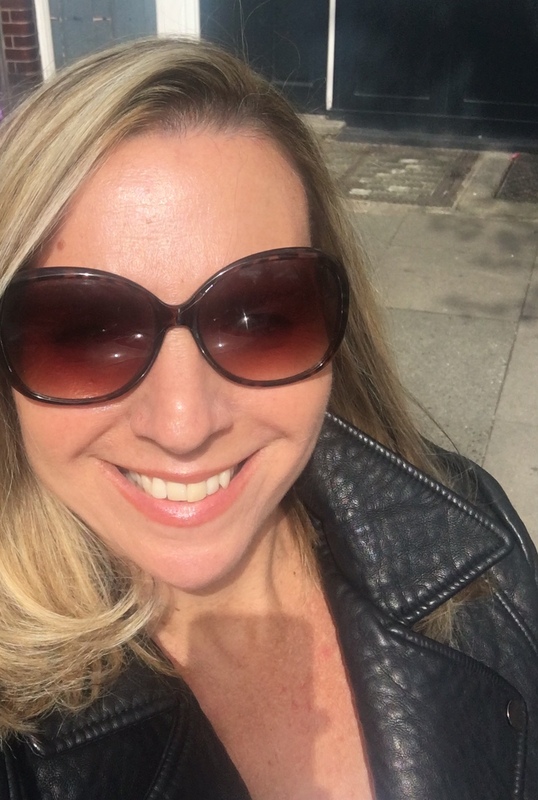 Thanks for popping by to my blog! Hmmm bags are a tricky one…but dark circles at least can be disguised with the right makeup and yes, a light reflective concealer would be your best bet. Let me know if you try it – would love to see if it helps you.